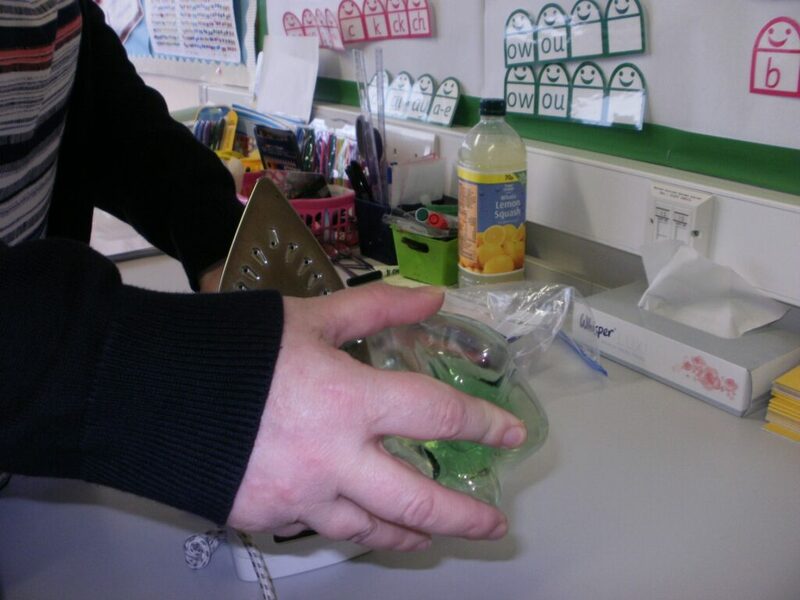 Children from Northfold Primary School are sick of picking cigarette ends up when they help the town centre team.  The pesky bits of litter are everywhere, so they’re running a Stub it Out campaign. 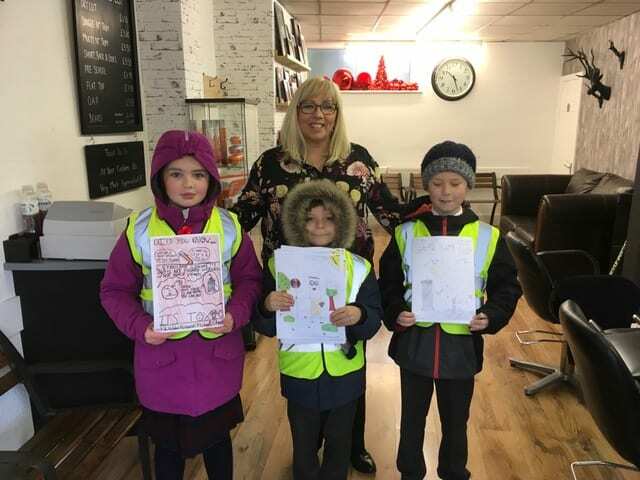 In the town centre, pupils met Robert Swales and Sandra Byrne from the Council to distribute them to shops and locals. They’re continuing their effort to draw attention to the problem that cigarette stubs cause in Cleveleys. 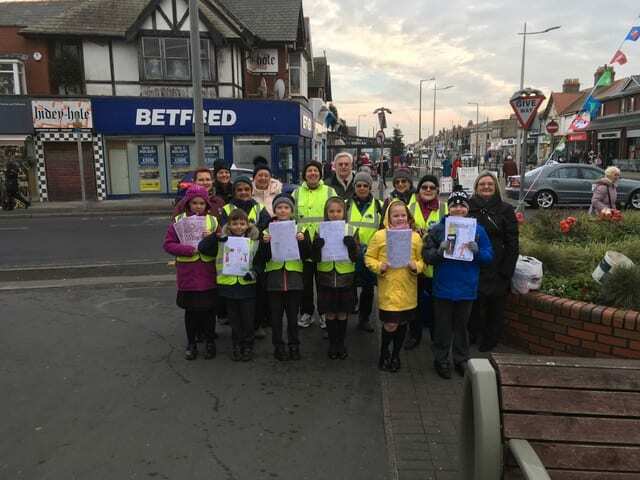 The children spoke confidently to shop owners and the majority agreed to put posters in their windows to encourage people to dispose of their stubs properly. Cigarette filters are made from cellulose acetate, a type of plastic, so no, they don’t decompose harmlessly. Ends dropped down a drain will end up in the sea. Especially at Cleveleys where the sea is just at the end of the street! Please help the children of Northfold School to keep Cleveleys clean and stub it out properly. Then dispose of your tab end in one of the many bins. 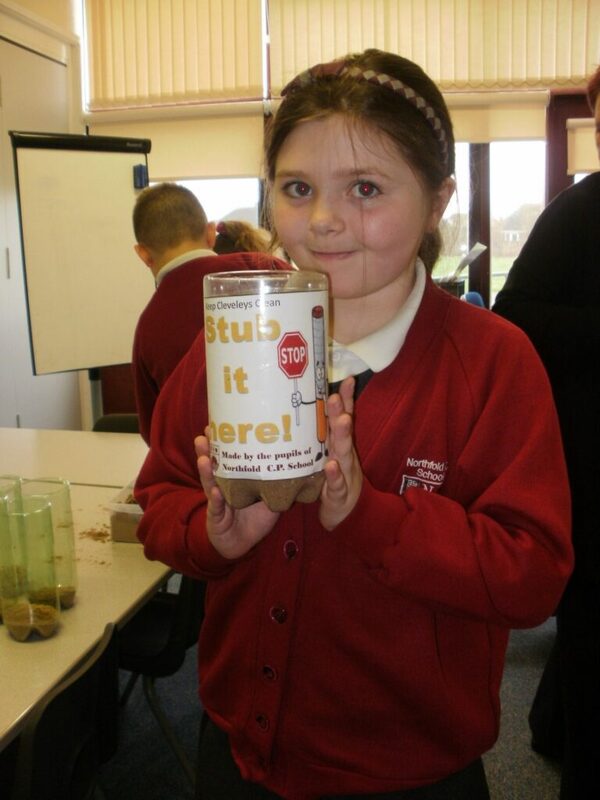 Next time you go shopping, look for the new cigarette bins in Cleveleys thanks to Northfold School. There’s no excuse now for dropping tab ends on the floor or in the planters in Cleveleys town centre, with new cigarette bins and ashtrays. They’ve been made and installed by the children as a Coastal Community Team project. 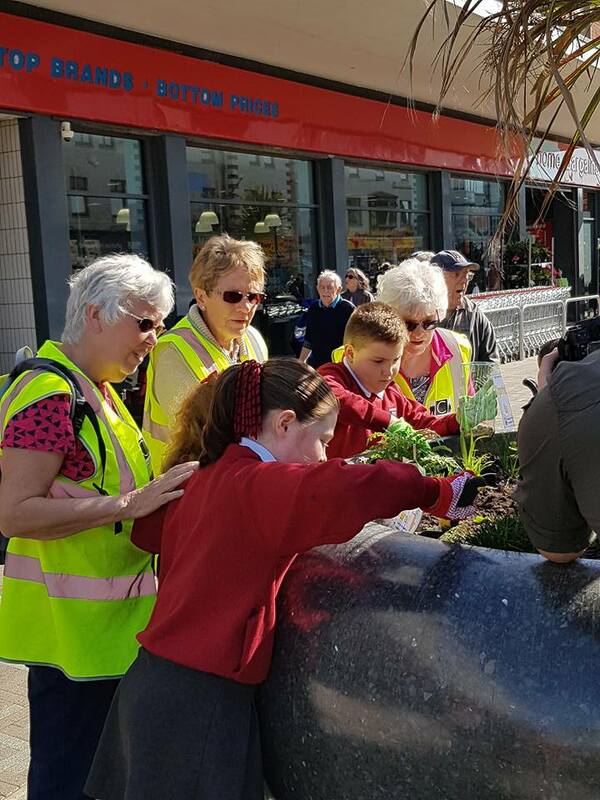 Pupils from the Eco Group have been hard at work, making special drop-off points for the nasty bits of litter, which are now newly installed in Cleveleys town centre. 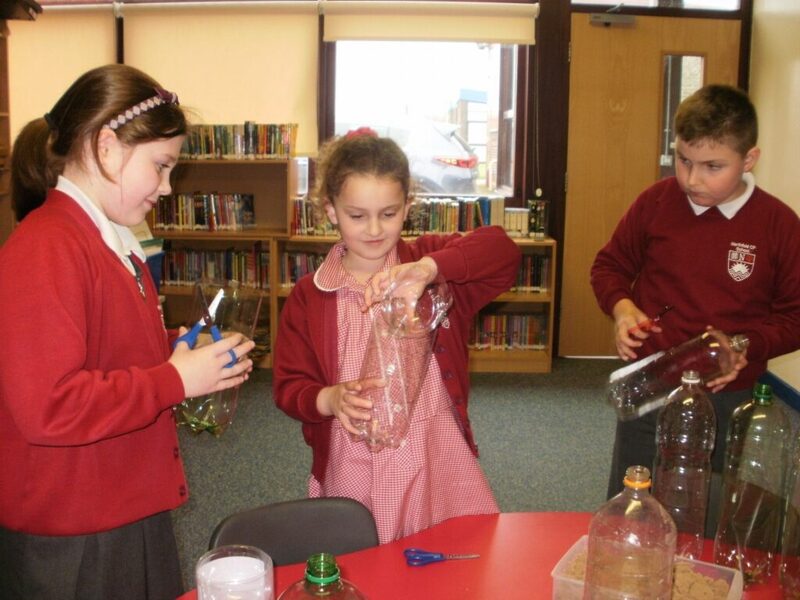 Not only that, their ingenious design recycles old plastic bottles, putting rubbish to a good use. 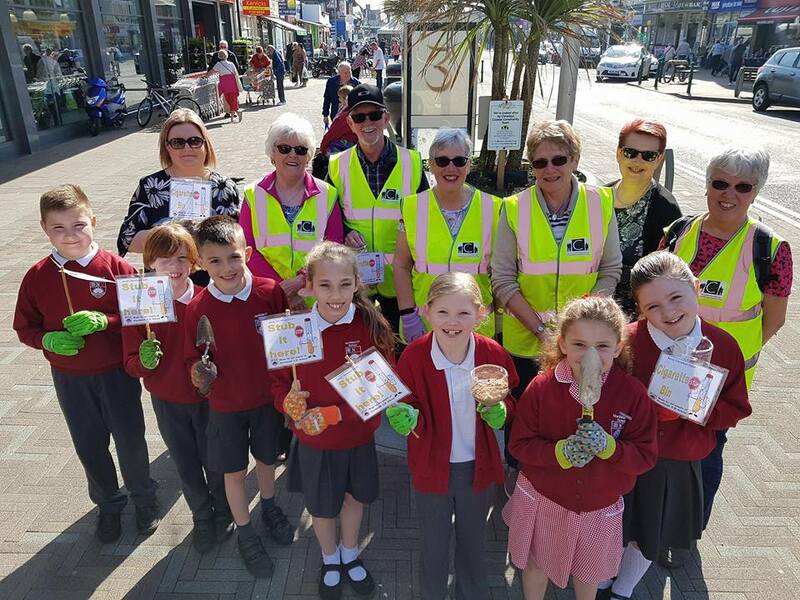 Children from the Eco team at Northfold are helping the Town Centre Team on a regular basis, and really enjoying looking after the town where they live. However, they were appalled when, last month, they watched adults stubbing cigarettes out in the planters, just as they were cleaning, gardening and tidying around them. And still the pesky little cigarette ends continue to appear on the floor, and even more annoyingly, in the planters. So the Team called on the help of the school children to tackle the problem and shame adults into disposing of their litter properly. 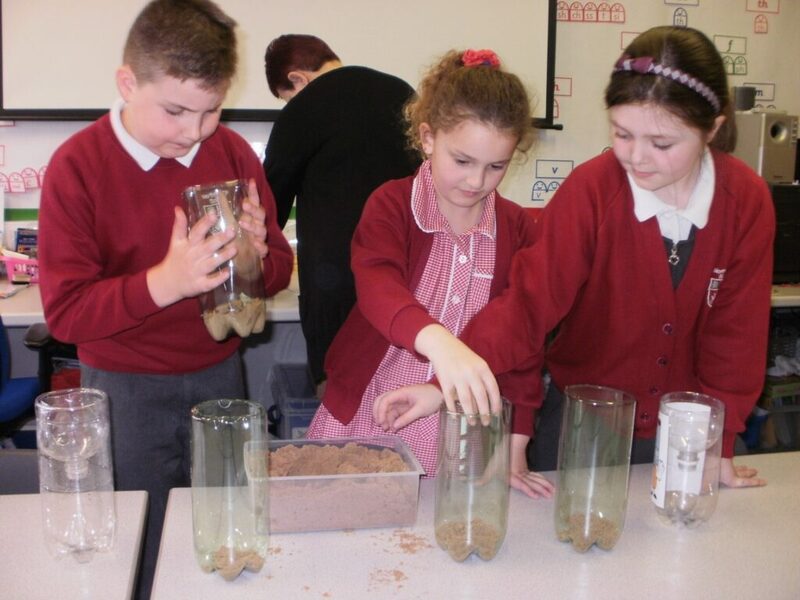 Under the guidance of their teacher Julie Ellershaw, the children in the eco-team made an expert job of recycling the plastic pop bottles into these ingenious little bins. The purpose-made, new cigarette bins thanks to Northfold School are now in place. They’re neatly labelled to explain their use, complete with sand in the bottom to absorb any residual heat from the cigarette. In addition, Cleveleys town centre is liberally provided for with plenty of ordinary litter bins. Each one has a stubbing plate on the top so that smokers can extinguish their cigarette before putting it into the bin. 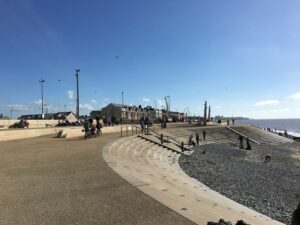 Over the last year Cleveleys Coastal Community Team has made a great start in making Cleveleys better than average, in a bid to keep it a thriving and popular town centre for many years to come. The new Town Centre Team has cleaned, weeded, swept and planted to achieve a well-cared for look. HMP Kirkham have been busy painting their way around the town, sprucing up bollards and street furniture. There are plans in place for the bus station and much more besides. 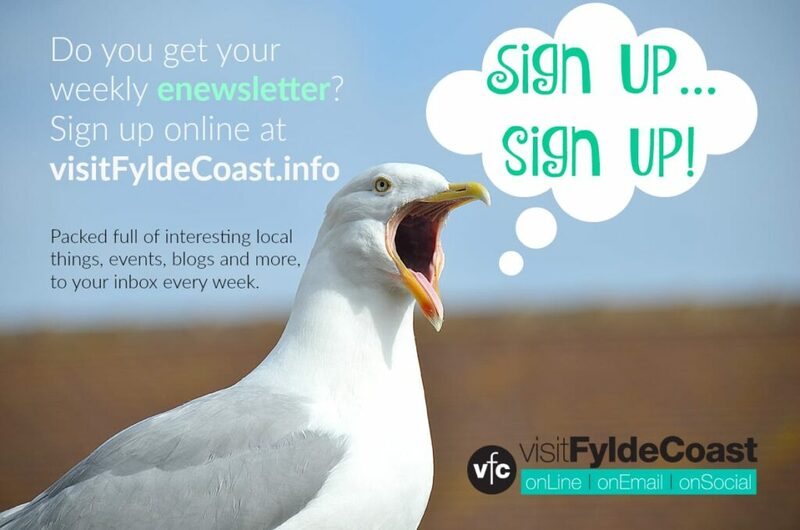 Have a look at updates from Cleveleys Coastal Community Team. 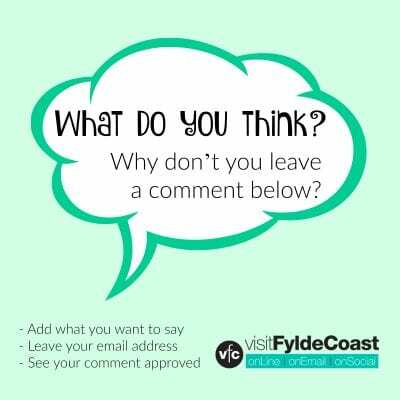 If you’d like to find out more please join the Care for Cleveleys Facebook Group. Why don’t you come along and join in with the Town Centre Team at their monthly clean-ups?